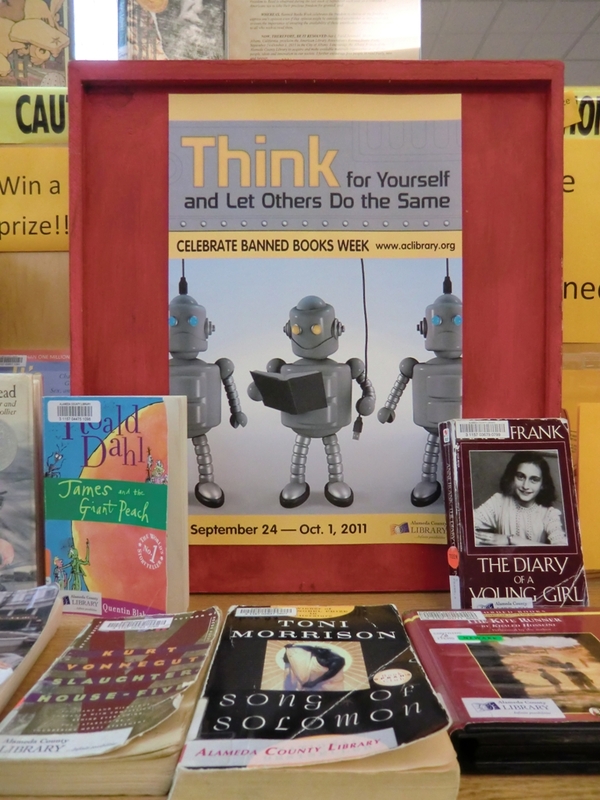 Albany Mayor, Farid Javandel, and the City Council declared the last week in September, “Banned Books Week.” They presented the Proclamation to Library Manager, Ronnie Davis, at their last meeting. Political support for privacy and the freedom to read have always been important. 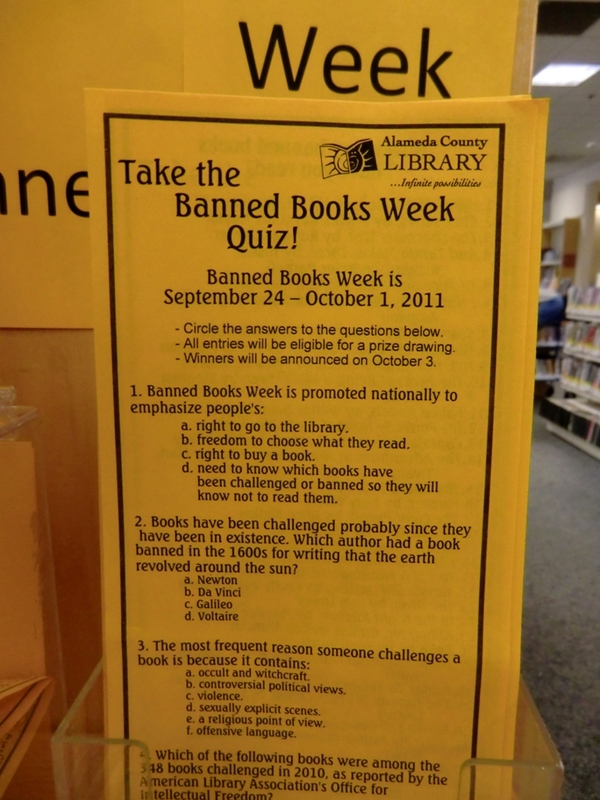 Although the U.S. Constitution guarantees these freedoms, citizens must protect “the exercise thereof.” In chaotic and confusing times, the Freedom to Read is often attacked. 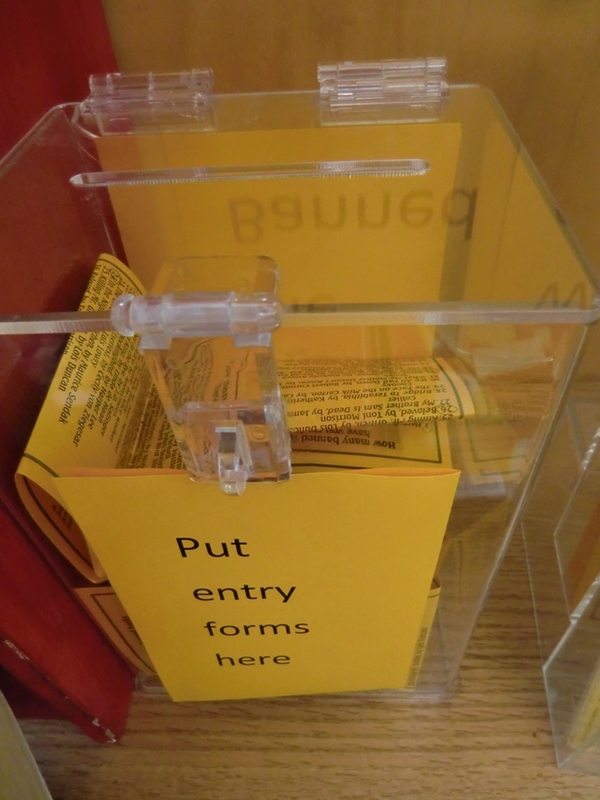 Public opinion in communities can turn very quickly and the first casualties are often new and controversial ideas. The suspicion of strangers often arises from the suspicion of outside ideas. To foster good will and understanding in a diverse society, to turn strangers into friends, politicians (and librarians!) must teach tolerance for differing opinions and support free inquiry. 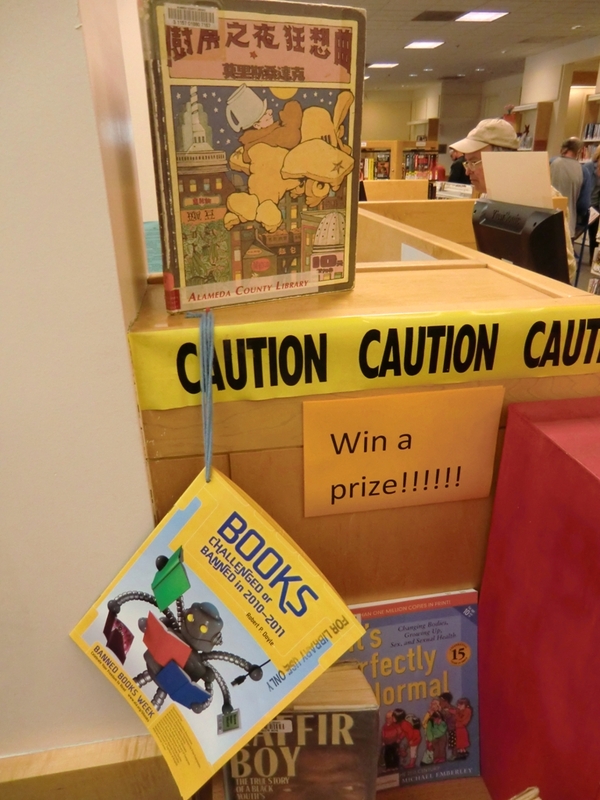 The Library is very happy that the City of Albany joins us in protecting privacy and the freedom to read. 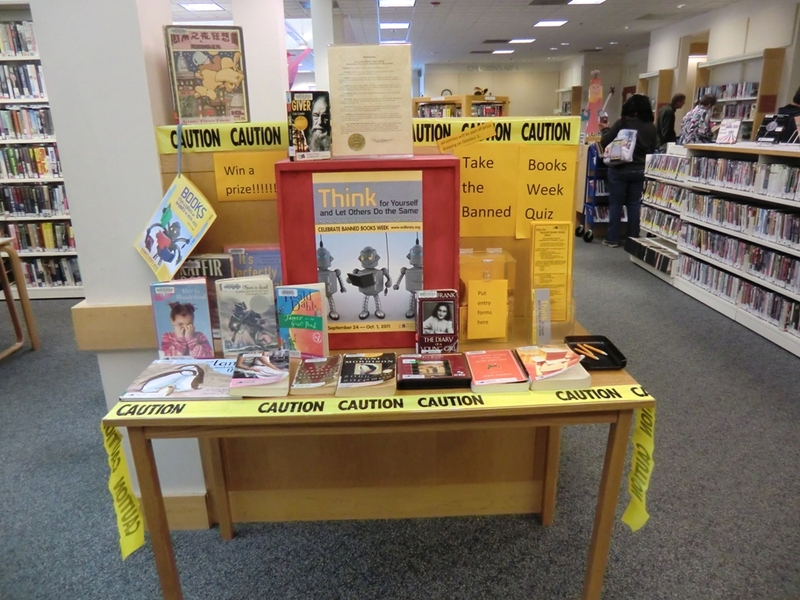 The library is celebrating with a Banned Books Week display, (shown below.) 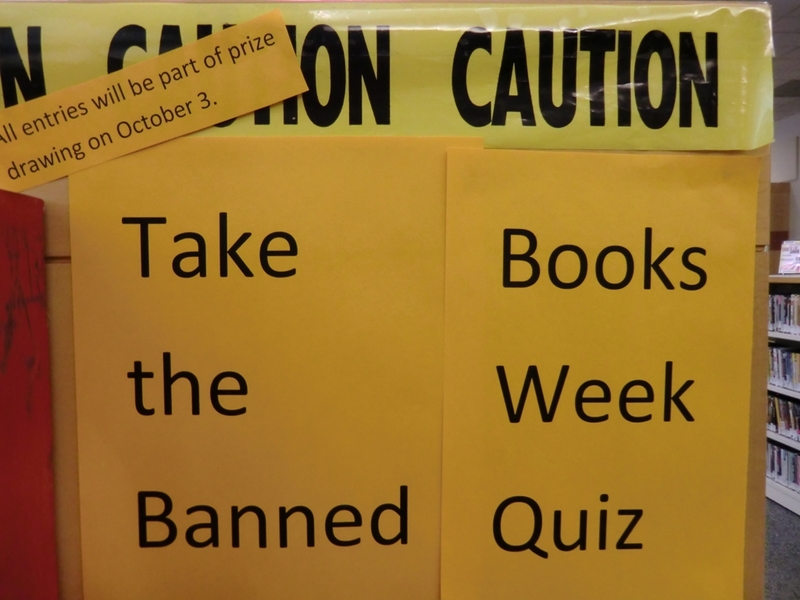 Readers are invited to take the Banned Books Week Quiz and submit their entry for the prize drawing on October 3. Here is the text of our awesome Proclamation! 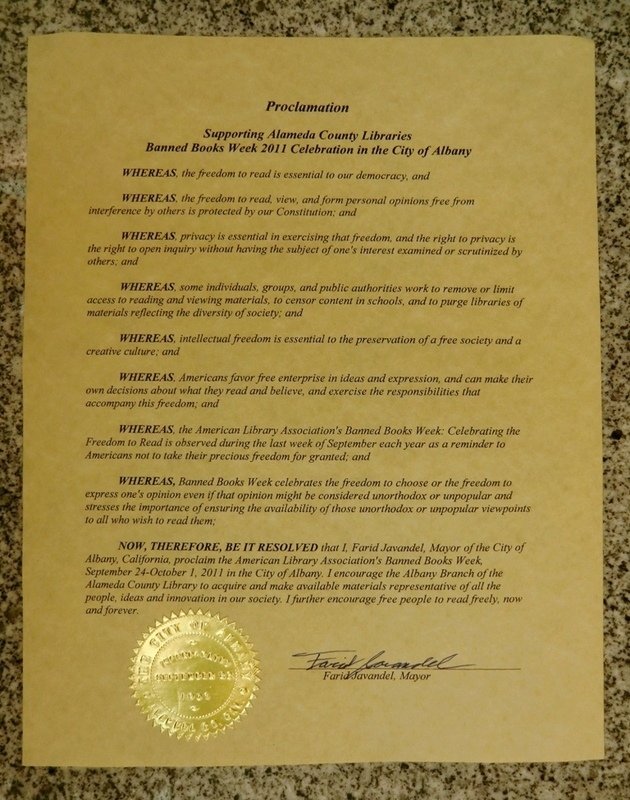 Now, therefore, be it resolved that I, Farid Javandel, Mayor of the City of Albany, California proclaim the American Library Association’s Banned Books Week, September 24–October 1, 2011 in the City of Albany. 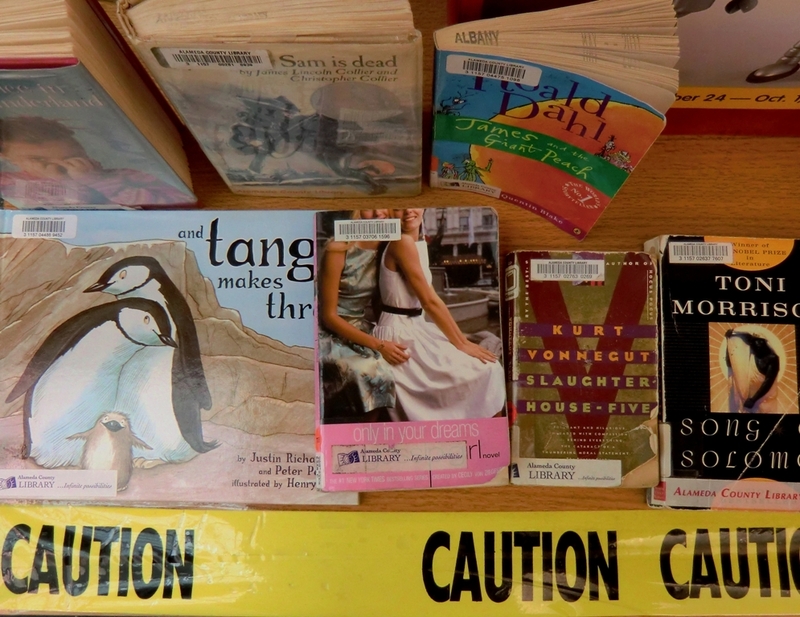 I encourage the Albany Branch of the Alameda County Library to acquire and make available materials representative of all the people, ideas and innovation in our society. I further encourage free people to read freely, now and forever.